Rattler Aquatics Team Wins 10th Consecutive South Zone TISCA Championships! 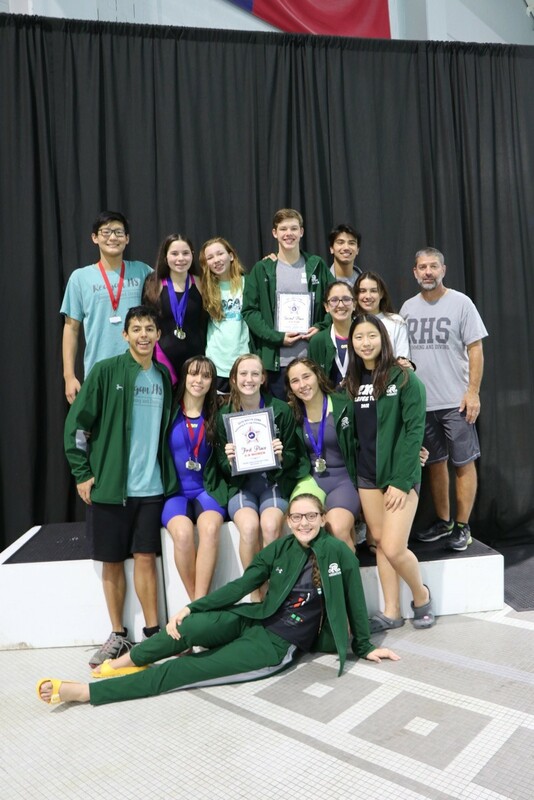 December 2, 2018 – Reagan’s swimming and diving team keeps its streak going by winning 1st place at the 2018 South Zone TISCA Championships this weekend. This is the 10th consecutive year Reagan Aquatics has won this championship meet! Reagan’s combined 1st place score was 874 points, with Alamo Heights placing 2nd with 715 points. Individually, Reagan’s women won 1st place with a score of 556 points and Reagan’s men placed 2nd with a score of 318 points. Reagan produced 11 Top-3 finishes in individual events and 4 Top-3 finishes in relay events, and one new Reagan record.